I'm currently taking part in the intagram challenge that Joanne Hawker has set up. Joanne has her own business (www.joannehawker.co.uk) selling the gorgeous cards, prints, enamel pins she designs, but she also champions the handmade community with the #MarchMeetTheMaker challenge over on instagram. It's so fun to be joining in with other makers, and finding out a bit more about them. 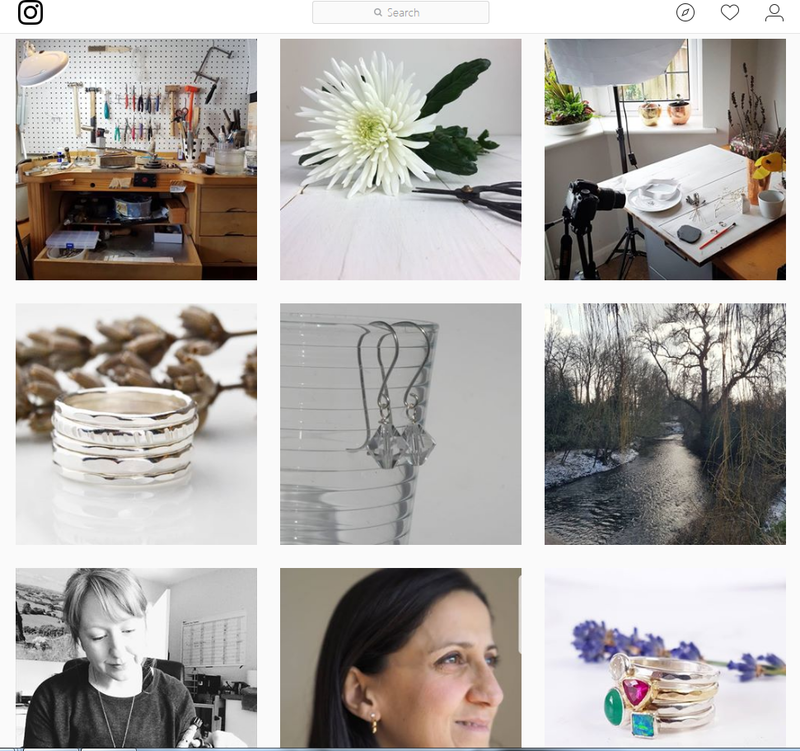 My instagram feed had really started to be just pictures of my finished jewellery, and I know I'm always more interested in the person behind the makes, rather than JUST the makes, so this challenge is a great way to get me more into doing on my own instagram what I look for in others. If you'd like to see more makers and what they're getting up to just pop along to instagram and search for the hashtag #MarchMeetTheMaker - there are so many great new small businesses and people to meet.